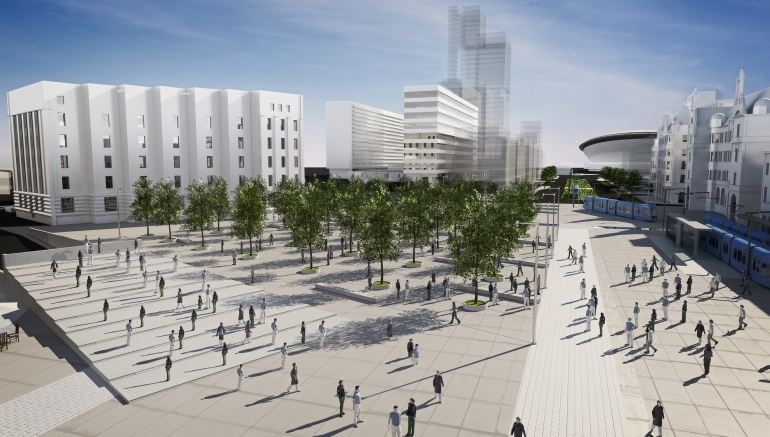 Citizens of Katowice decided in a public survey about a future design of the City Center, the Roundabout – Market Square area. Among three concepts presented by the Polish-Spanish consortium of design companies, 47 percent of voters have chosen the second project. The two other proposed concepts got 23 and 28 percent of votes. 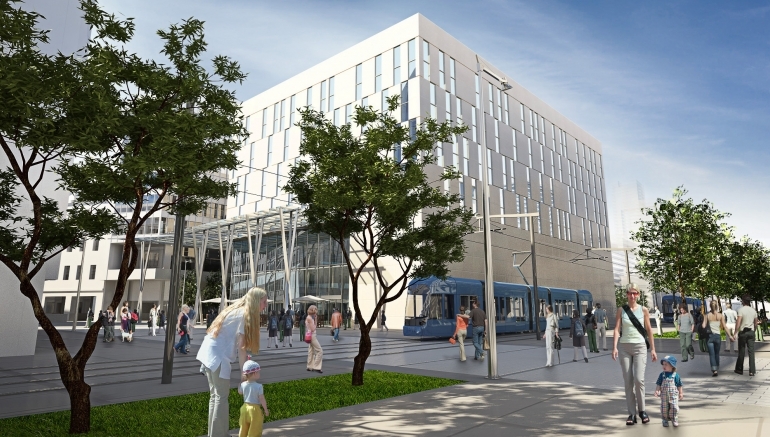 An idea for a development of a new building (MOW) between the existing “Zenit” and “Dom Prasy” buildings was declared positively by the survey’s participants. An architectural contest for the building’s project will be announced hereafter. 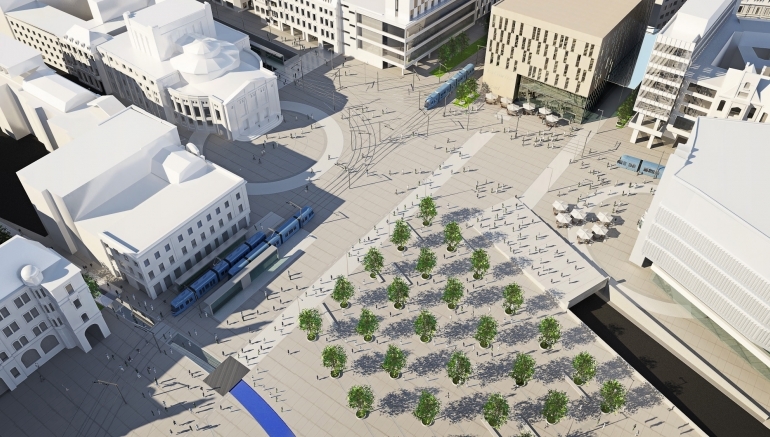 The chosen project postulates to build an underground road connection between Warszawska and Mickiewicza Streets, and an artificial river bed of the “Rawa” river. Deep for about 10 centimeters, a stream channel with fountains will imitate the river hidden under the ground. The public opinion poll was inquired by Millward Brown SMG/KRC among approx. 2 000 participants. Findings and evaluation will be submitted to the City’s authorities which are going to make a final decision about the concept’s details. Construction works are scheduled to commence in 2011 and to be finished in 2014. 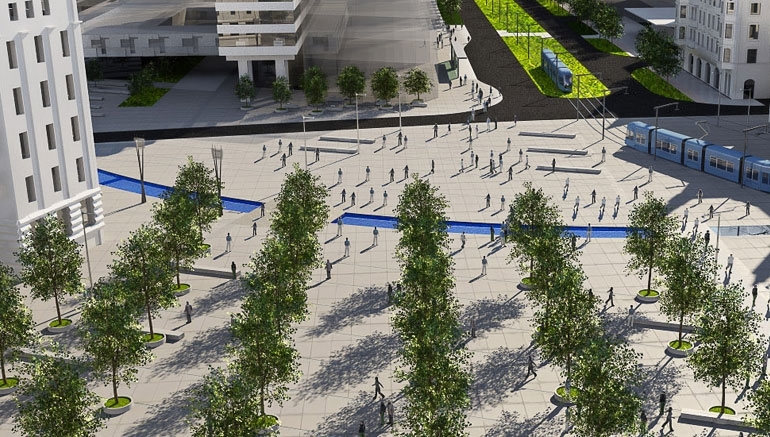 Estimated costs of the redevelopment are calculated for about PLN 290 million (excluding a development of an underground car park and the “MOW” building).